With the onset of war in Europe, hostilities began in the North Atlantic which eventually provided the context — or rather, pretext — for America’s participation. Immediately, questions of the rights of neutrals and belligerents leapt to the fore. In 1909, an international conference had produced the Declaration of London, a statement of international law as it applied to war at sea. Since it was not ratified by all the signatories, the declaration never came into effect. However, once war started the United States inquired whether the belligerents were willing to abide by its stipulations. The Central Powers agreed, providing the entente did the same. The British agreed, with certain modifications, which effectively negated the declaration. British “modifications” included adding a large number of previously “free” items to the “conditional” contraband list and changing the status of key raw materials — most important of all, food — to “absolute” contraband, allegedly because they could be used by the German army. Foodstuffs, with a hostile destination, can be considered contraband of war only if they are supplies for the enemy’s forces. 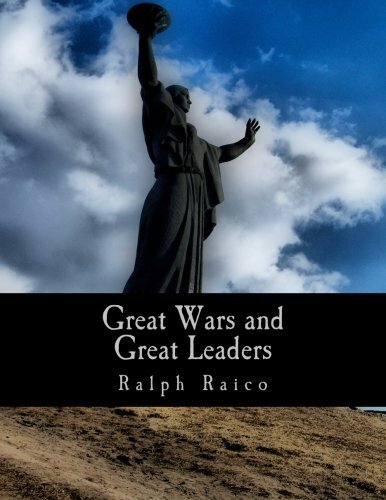 It is not sufficient that they are capable of being so used; it must be shown that this was Great Wars and Great L... Ralph Raico Best Price: $13.99 Buy New $13.66 (as of 06:30 EDT - Details) in fact their destination at the time of the seizure. Britain now assumed “practically complete control over all neutral trade,” in “flat violation of international laws.” A strong protest was prepared by State Department lawyers but never sent. Instead, Colonel House and Spring-Rice, the British ambassador, conferred and came up with an alternative. Denying that the new note was even a “formal protest,” the United States politely requested that London reconsider its policy. The British expressed their appreciation for the American viewpoint, and quietly resolved to continue with their violations. In November 1914, the British Admiralty announced, supposedly in response to the discovery of a German ship unloading mines off the English coast, that henceforth the whole of the North Sea was a “military area,” or war zone, which would be mined, and into which neutral ships proceeded “at their own risk.” The British action was in blatant contravention of international law — including the Declaration of Paris, of 1856, which Britain had signed — among other reasons, because it conspicuously failed to meet the criteria for a legal blockade. The British moves meant that American commerce with Germany was effectively ended, as the United States became the arsenal of the entente. Bound now by financial as well as sentimental ties to England, much of American big business worked in one way or another for the Allied cause. The house of J.P. Morgan, which volunteered itself as coordinator of supplies for Britain, consulted regularly with the Wilson administration in its financial operations for the entente. The Wall Street Journal and other organs of the business elite were noisily pro-British at every turn, until we were finally brought into the European fray. what most decisively contributed to the involvement of the United States in the war was the assertion of a right to protect belligerent ships on which Americans saw fit to travel and the treatment of armed belligerent merchantmen as peaceful vessels. Both assumptions were contrary to reason and to settled law, and no other professed neutral advanced them. Wilson had placed America on a direct collision course with Germany. will not expect the Government of the United States to omit any word or any act necessary to the performance of its sacred duty of maintaining the rights of the United States and its citizens and of safeguarding their free exercise and enjoyment. In their reply to the State Department note, the Germans observed that submarine warfare was a reprisal for the illegal hunger blockade; that the Lusitania was carrying munitions of war; that it was registered as an auxiliary cruiser of the British Navy; that British merchant ships had been directed to ram or fire upon surfacing U-boats; and that the Lusitania had been armed. Wilson’s secretary of state, William Jennings Bryan, tried to reason with the president: “Germany has a right to prevent contraband going to the Allies, and a ship carrying contraband should not rely upon passengers to protect her from attack — it would be like putting women and children in front of an army.” He reminded Wilson that a proposed American compromise, whereby Britain would allow food into Germany and the Germans would abandon submarine attacks on merchant ships, had been welcomed by Germany but rejected by England. Finally, Bryan blurted out: “Why be shocked by the drowning of a few people, if there is to be no objection to starving a nation?” In June, convinced that the administration was headed for war, Bryan resigned. The British blockade was taking a heavy toll, and in February 1916, Germany announced that enemy merchant ships, except passenger liners, would be treated as auxiliary cruisers, liable to be attacked without warning. The State Department countered with a declaration that, in the absence of “conclusive evidence of aggressive purpose” in each individual case, armed belligerent merchant ships enjoyed all the immunities of peaceful vessels. Wilson rejected congressional calls at least to issue a warning to Americans traveling on armed merchant ships that they did so at their own risk. During the Mexican civil war, he had cautioned Americans against traveling in Mexico.But now Wilson stubbornly refused. This persistent refusal of President Wilson to see that there was a relation between the British irregularities and the German submarine warfare is probably the crux of the American involvement. The position taken is obviously unsustainable, for it is a neutral’s duty to hold the scales even and to favor neither side. But in reality, the American leaders were anything but neutral. in dealing with the British Government there was always in my mind the conviction that we would ultimately become an ally of Great Britain and that it would not do, therefore, to let our controversies reach a point where diplomatic correspondence gave place to action. everything was submerged in verbiage. It was done with deliberate purpose. It insured the continuance of the controversies and left the questions unsettled, which was necessary in order to leave this country free to act and even act illegally when it entered the war. As the British leaders had planned and hoped, the Germans were starving. On January 31, 1917, Germany announced that the next day it would begin unrestricted submarine warfare. Wilson was stunned, but it is difficult to see why. This is what the Germans had been implicitly threatening for years, if nothing was done to end the illegal British blockade. The United States severed diplomatic relations with Berlin. The president decided that American merchant ships were to be armed and defended by American sailors, thus placing munitions and other contraband sailing to Britain under the protection of the US Navy. When 11 senators, headed by Robert La Follette, filibustered the authorization bill, a livid Wilson denounced them: “A little group of willful men, representing no opinion but their own, have rendered the great Government of the United States helpless and contemptible.” Wilson hesitated to act, however, well aware that the defiant senators represented far more than just themselves. There were troubling reports — from the standpoint of the war party in Washington — like that from William Durant, head of General Motors. Durant telephoned Colonel House, entreating him to stop the rush to war; he had just returned from the West and met only one man between New York and California who wanted war. But opinion began to shift and gave Wilson the opening he needed. A telegram, sent by Alfred Zimmermann of the German Foreign Office to the Mexican government, had been intercepted by British intelligence and forwarded to Washington. Zimmermann proposed a military alliance with Mexico in case war broke out between the United States and Germany. Mexico was promised the American Southwest, including Texas. The telegram was released to the press. For the first time backed by popular feeling, Wilson authorized the arming of American merchant ships. In mid-March, a number of freighters entering the declared submarine zone were sunk, and the president called Congress into special session for April 2.
to fight thus for the ultimate peace of the world and for the liberation of its peoples, the German people included: for the rights of nations great and small and the privilege of men everywhere to choose their way of life and of obedience. The world must be made safe for democracy … [we fight] for a universal dominion of right by such a concert of free peoples as shall bring peace and safety to all nations and make the world at last free. Wilson was answered in the Senate by Robert La Follette, and in the House by the Democratic leader Claude Kitchin, to no avail. In Congress, near-hysteria reigned, as both chambers approved the declaration of war by wide margins. The political class and its associates in the press, the universities, and the pulpits ardently seconded the plunge into world war and the abandonment of the America that was. As for the population at large, it acquiesced, as one historian has remarked, out of general boredom with peace, the habit of obedience to its rulers, and a highly unrealistic notion of the consequences of America’s taking up arms. Three times in his war message, Wilson referred to the need to fight without passion or vindictiveness — rather a professor’s idea of what waging war entailed. The reality for America would be quite different. Charles Callan Tansill, America Goes to War (Gloucester, Mass. : Peter Smith, 1963 ),pp. 135–62. Cited in H.C. Peterson, Propaganda for War: The Campaign against American Neutrality, 1914–1917(Norman, Okla.: University of Oklahoma Press, 1939),p. 83. As Lord Devlin put it, the Admiralty’s orders “were clear enough. All food consigned to Germany through neutral ports was to be captured, and all food consigned to Rotterdam was to be presumed consigned to Germany.… The British were determined on the starvation policy, whether or not it was lawful.” Patrick Devlin, Too Proud to Fight: Woodrow Wilson’s Neutrality (New York: Oxford University Press, 1975), pp. 193, 195. Edwin Borchard and William Pooter Lage, Neutrality for the United States (New Haven, Conn.: Yale University Press, 1937), p. 61. 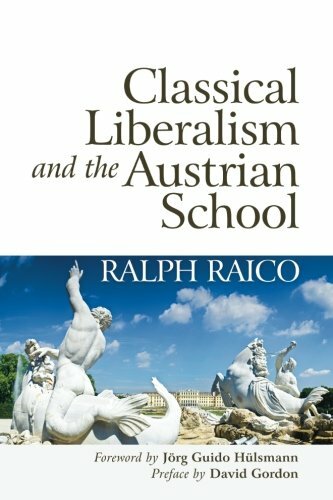 See Ralph Raico, “The Politics of Hunger: A Review,” in Review of Austrian Economics, vol. 3 (1989), p. 254, and the sources cited. The article is included in the present volume. Robert M. La Follete, the progressive senator from Wisconsin, scathingly exposed Wilson’s double standard in a speech on the Senate floor two days after Wilson’s call for war. It is reprinted in the vital collection, Murray Polner and Thomas E. Woods, Jr., eds., We Who Dared to Say No to War: American Antiwar Writing from 1812 to Now (New York: Basic Books, 2008), pp. 123–32. On the possible involvement of Winston Churchill, First Lord of the Admiralty, in the genesis of this disaster, see “Rethinking Churchill,” in the present volume. Thomas G. Paterson, ed., Major Problems in American Foreign Policy. Documents and Essays, vol. 2, Since 1914, 2nd ed. (Lexington, Mass. : D. C. Heath, 1978), pp. 30–32. On the fraudulence of the Bryce Report, see Read, Atrocity Propaganda, pp. 201–08; Peterson,Propaganda for War, pp. 51–70; and Knightley, The First Casualty, pp. 83–84, 107. Tansill, America Goes to War, p. 323. The German captain of the U-boat that sank the Lusitaniaafterwards pointed out that British captains of merchant ships had already been decorated or given bounties for ramming or attempting to ram surfaced submarines; see also Peterson, Propaganda for War, p. 114. William Jennings Bryan and Mary Baird Bryan, The Memoirs of William Jennings Bryan (Philadelphia: John C. Winston, 1925), pp. 397–99; Tansill, America Goes to War, pp. 258–59. To my mind, Bryan’s antiwar position and principled resignation more than make up for his views on evolution, despite H. L. Mencken’s attempted demolition of Bryan in a well-known essay. Edwin Borchard and William Pooter Lage, Neutrality for the United States (New Haven, Conn.: Yale University Press, 1937),pp. 122–24. John Bassett Moore was scathing in his denunciation of Wilson’s new doctrine, that an armed merchant ship enjoyed all the rights of an unarmed one. Citing precedents going back to Supreme Court Justice John Marshall, Moore stated that: “By the position actually taken, the United States was committed, while professing to be a neutral, to maintain a belligerent position.” Alex Mathews Arnett, Claude Kitchin and the Wilson War Policies (New York: Russell and Russell, 1971 ), pp. 157–58. In fact, during the Mexican conflict, Wilson had prohibited outright the shipment of arms to Mexico. As late as August, 1913, he declared: “I shall follow the best practice of nations in this matter of neutrality by forbidding the exportation of arms or munitions of war of any kind from the United States to any part of the Republic of Mexico.” Tansill, America Goes to War, p. 64. Borchard and Lage, Neutrality, p. 168. Edward Grey, Viscount Grey of Fallodon, Twenty-Five Years. 1892–1916 (New York: Frederick A. Stokes, 1925), pp. 101–02, 108–11. Robert Lansing, War Memoirs (Indianapolis: Bobbs–Merrill, 1935), pp. 127–28. Charles Seymour, ed., The Intimate Papers of Colonel House (Boston: Houghton Mifflin, 1926), vol. 1, p. 323. Joseph P. Tumulty, Woodrow Wilson as I Know Him (New York: Doubleday, Page, 1921), p. 231. Proofs such as these that our leaders had shamelessly lied in their protestations of neutrality were published in the 1920s and ’30s. This explains the passion of the anti-war movement before the Second World War much better than the imaginary “Nazi sympathies” or “anti-Semitism” nowadays invoked by ignorant interventionist writers. As Susan A. Brewer writes in Why America Fights: Patriotism and War Propaganda from the Philippines to Iraq (New York: Oxford University Press 2009), p. 280, “The Committee on Public Information presented the war as a noble crusade fought for democracy against demonized Germans. Such a portrayal was overturned by unfulfilled war aims overseas, the abuse of civil liberties at home, and revelations of false atrocity propaganda. In the years that followed Americans expressed distrust of government propaganda and military intervention in what they considered to be other people’s wars.” This helps account for the appearance from time to time of debunking works of popular revisionism by authors infuriated by the facts they discovered, such as C. Hartley Grattan, Why We Fought (Indianapolis: Bobbs–Merrill, 1969 ); Walter Millis, Road to War: America 1914–1917 (Boston: Houghton Mifflin, 1935); and later Charles L. Mee, Jr., The End of Order: Versailles 1919 (New York: E. P. Dutton, 1980); and Walter Karp’s invaluable, The Politics of War: The Story of Two Wars which Altered Forever the Political Life of the American Republic (1890–1920) (New York: Harper and Row, 1979). Walter A. McDougall, Promised Land, Crusader State: The American Encounter with the World since 1776(Boston/New York: Houghton Mifflin, 1997),p. 127. Seymour, The Intimate Papers of Colonel House, vol. 1, p. 470; vol. 2, p. 92. Seymour, The Intimate Papers of Colonel House, vol. 2, p. 448. The Papers of Woodrow Wilson, January 24-April 6, 1917, Arthur S. Link, ed. 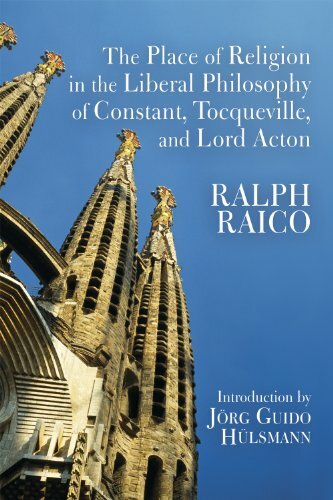 (Princeton, N.J.: Princeton University Press, 1983), vol. 41, pp. 525–27. See Robert M. La Follette, “Speech on the Declaration of War against Germany,” in Arthur A. Ekirch, Jr., ed., Voices in Dissent: An Anthology of Individualist Thought in the United States (New York: Citadel Press, 1964), pp. 211–22; and Arnett, Claude Kitchin, pp. 227–35. Otis L. Graham, Jr., The Great Campaigns: Reform and War in America, 1900–1928 (Malabar, Fla.: Robert E. Krieger, 1987), p. 89.